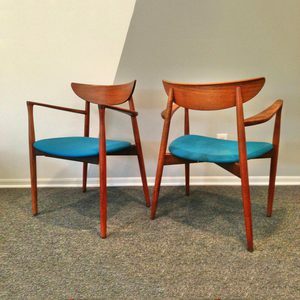 Maybe I’m a little behind, but I can’t get enough Mid Century Modern furniture right now! I am absolutely obsessed with these chairs that are for sale on Fab.com. The lines, the colors, everything. They’re a bit too pricey at nearly $1300 on sale, but I’ll be on the look out for something similar at flea markets and yard sales. 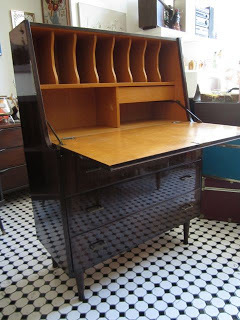 I love the lines and colors of this desk, which is from Hutch Vintage in Echo Park. 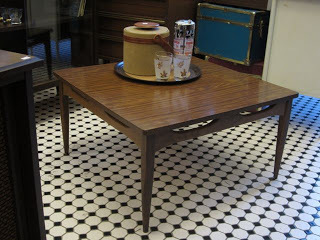 This coffee table, also from Hutch Vintage, is simple but gorgeous (and a steal at only $60). No rehabbing required!